“The iPad has always been a computer of great potential imprisoned by its interface, but two years after opening the cage door, Apple is finally letting it out for a canter around the paddock,” Andrew Orlowski writes for The Register. It’s too bad then that if you have 2 Apps that use the same file format you have to copy/move that file so the ‘other’ App has access to it. If you copy, you will have 2 identical files (at time of copy) on your iOS device, one for each App. If you move, the first App will lose access to the file. The only exception to this is photo and music files. Finder. It needs a real Finder/Directory. I have hundreds of customer folders and files I must manage and keep organized, in both Mail and within my Documents folder. I watch Surface folk touch their screens all day long, only to need to reposition their hands each and every time. Smudging their display – it’s inefficient and stupid. Thus, Apple’s amazingly awesome multi-gesture track pads make no need for such a work-around. Windoze people think it’s “great!” but only because if you watch Windoze people, they use to use mice all the time because their PC crap laptop trackpads SUCKED! So touching the screen – for them – is a great improvement. If these people had a real trackpad in the first place they would find touching the screen all day long stupid also. No trackpad, no “real” Finder. Not for me. Oh, and while the Butterfly keyboard on my new MBA has keys the rub off over time (they all have to-date), the low travel is fantastic and I can type so much faster than long-throw 80’s nonsense. Thus, the “real” keyboard over anything for an iPad is also superior, and keeps me fast and efficient. Wow, you live in a tiny bubble. Like an idiot. Are you one? I just spent a two week rehab program for eye surgery, had to drag out my iPad. Basically I found that if I had to use a touch interface in my business, I would be out of business. The apps that I use for html5 animation and web development are light years beyond the capacity of any touch environment. Muti-level menus with dozens of functions on each. No, don’t ever see it happening, the iPad is back on the shelf where it had been for over a year. For simple entertainment apps, ok but what the entertainment users need to realize is that the content creators of what they consume are in a different universe. Not sure why the low votes are here. This is precisely what I’ve said for a long time – iPads are for consumption, Macs are for creation. I’ve struggled to do much useful creation on my iPad, and it just doesn’t get it done. Having a Finder will certainly help, but that won’t get the job fully done, either. Perhaps a Finder will get developers to put more into their production apps for iDevices, but it is going to take a lot. I think a lot of people that have been around for awhile and only know manipulation of a computer by way of a mouse may find themselves always challenged with the iPad. It happens with every generation… for example, like the keyboard kings long ago, with their extensive function key knowledge that could run circles around anyone with a mouse any day of the week. They went to their graves never quite getting the whole “mouse” thing. There will be those that never “get” how to use or how to create effective touch interfaces. It’s not a right or wrong thing, just how brains are wired. Wrong Again, our PRO brains are wired to use the best equipment possible to get the job done. Certainly, not REWIRE to chase a fantasy touch iPad dream, not even close to getting PRO work done. Multi-window & Multi-app’s is all well and good. However until Apple opens up the file system and external input options (mouse, Keyboards etc) IT WILL NEVER EVER REPLACE A PC OF ANY TYPE, PERIOD. As your name would imply. It’s not the consumer who is claiming that the iPad is just inches away from being a complete replacement the PC. That honor is bestowed to Apple and tech writers. The fact is, the iPad in it’s current form is a entertainment and social media delivery system. Any real work or file management abilities are simply not available in it’s current form. Then let’s not pretend that any iPad deserves the moniker of Pro anything. Without some pretty majors changes to the platform it will be as it always has been, a scaled up iPhone, sans the phone . Where it should be at this point in time is a hybrid machine with an OS somewhere between Mac OS and iOS. And really, if I walk into MY office, and power up the iMac an icon of MY Documents on my iPad should automatically show up on the Desktop, and an icon leading to MY Documents on the iMac on MY iPad should show up so I can just drag and drop whatever I want back and forth between the two (after I’ve set up allowing it and stuff in the past). Same with MY iPad and MY MacBook. Same with MY MacBook and iMac. Same with everything and MY iPhone if I had one. None of this is ever gonna happen. It’s too ‘just works’, or ‘not under our control’ for the New Apple. Now THAT would be true Continuity. Serious computer? That’s not in Cook’s DNA. Why can’t my iPad pilot my car to Mars! Tim Cook should be fired!! You want a laptop, buy one… Stop pretending an iPad is anything more than an iPad. It would make your life so much easier..
you miss the point. for over a decade Apple has pushed all things iOS and still the platform is a pathetic excuse for personal use on any level. the app gimmicks are profitable but so limited that technical work and sophisticated content creation cannot ever consider it. Apple hasn’t even bothered to advertise its Macs let alone keep them competitive or make decent keyboards. Thanks to Cook, Apple is rapidly becoming a company that offers second rate performance at inflated prices across the board. Now with 6 more middle fingers to Mac users. Its kinda hard when they are so damn expensive (the good ones). 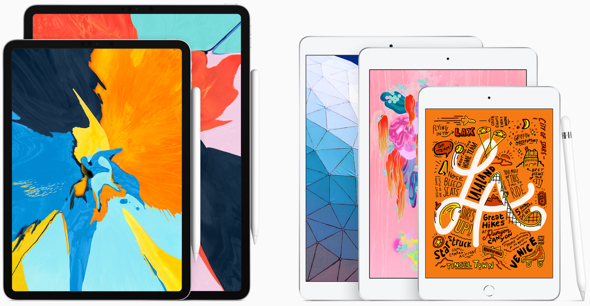 I am finding it hard to justify the iPad Pro 12.9 I really want and will probably end up getting.. $1250 CAD to start for 64 pitiful GBs. come ON !! lack of Local, core, user manageable file/folder system with a consistent UI across the board, accessible from every app and for all files ….And open i/o for external devices are the biggest handicaps… not window panes! Files Cloud based app is a compromise… its too slow for large files and asset intensive projects and also what happens when there is no connection. Without a serious user manageable file/folder sys.. ipad/ios will never be a true pro device. Can’t up vote enough. I almost fell off my chair when I learned Files was really a Cloud gimmick not the “common file solution” it was touted to be. I recall the first time I heard about Files when it was first teased, it sounded like what you describe. I was elated by the news. Then reality hit. iOS Pro is just as good of an idea as macOS Pro. Wait…. there’s no such thing as macOS Pro? Then… how can macOS show the pretty little pictures (of files and folders, SO COOL) that pros find so critical to move from one spot on the screen to another? Don’t tell me it’s possible to create an OS such that it can perform pro (picture icons, apparently) functions as well as non pro (all the other stuff?) functions? And WITHOUT needing a switch to go back and forth? iOS currently cripples iPad as a serious computer.